The election of class officers for the International Laser Class Association – North American region will take place during October. If you would like to nominate a candidate for any of the offices, contact Sherri Campbell, ILCA-NA Executive Secretary ( sherri@odmsail.com). If you have any questions, please contact the class office by phone at 619-222-0252 or by email at sherri [at] odmsail.com. A total of 27 District 11 sailors qualified for grand prix points in 2012 with their finishes in District-level and greater events. Some news out of the International Laser Class Association – North American Region this evening: With two openings left by board members who have moved up to positions at the International Laser Class Association Jon Deutsch is one of two members appointed to interim positions with the ILCA-NA. You can read the entire announcement here. Whether I stay on as Secretary after the fall election or move to a leadership position with my own club, I feel that this summer would be a good time to transition the District to a new leader. I’ll continue on through our District 11 Championship at SSA at the end of September and we’ll pick a new Secretary at the annual meeting that Saturday night. I’ve had a lot of fun being the District 11 Secretary for the past 6 years. I’ve gotten to know so many great sailors around the District and I’ve gotten to help promote Laser sailing in the area. In the years to come I still plan on sailing many of the same events I’ve been sailing for years as well as running the Chesapeake Bay Laser Masters Championship at FBYC. And I’ll still be around to help ease the transition to a new Secretary. I’m looking forward to a fun and busy summer! See you on the race course! 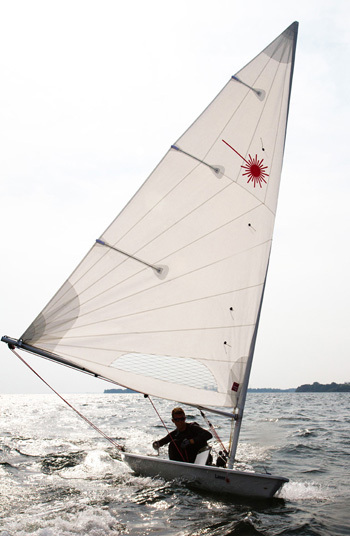 ILCA-NA has posted the rules for the 2012 Grand Prix. Check them out here.